Emma RechenbergThe best photo opportunities are from the trail. 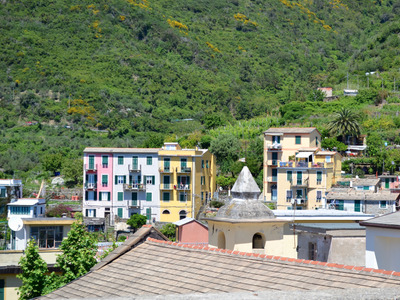 Here’s a look at Corniglia on the way to Vernazza. There’s no debating it. 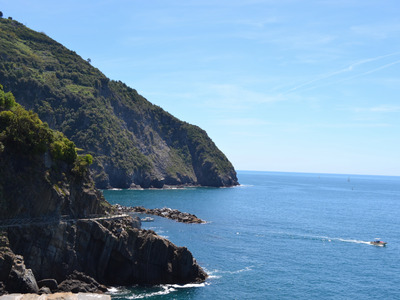 The Cinque Terre in Italy is breathtaking. What you won’t see when you’re looking at the picturesque photos on social media is the out-of-breath photographer behind the lens. Trust me, there’s no way after hours of hiking, anyone would look anywhere near as glamourous as the views ahead. The experience, however, was absolutely worth the hike. In total, I hiked almost 4.5 miles of uphill terain and my phone tracked 119 flights climbed. Needless to say, I got my steps in for the day. This was a few weeks ago. 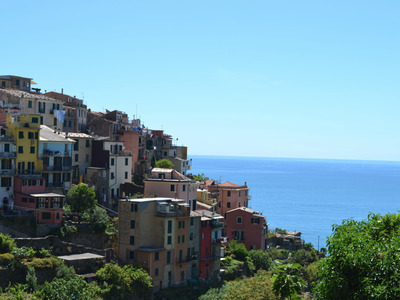 It was my first time exploring the cliff towns along Italy’s west coast. After learning the proper pronunciation (think cheenkwah-terrah) and discovering it’s English translation (‘cinque’-five, ‘terre’-lands), I was ready to take to the trail. I’ll admit — my previous hiking experience was limited. 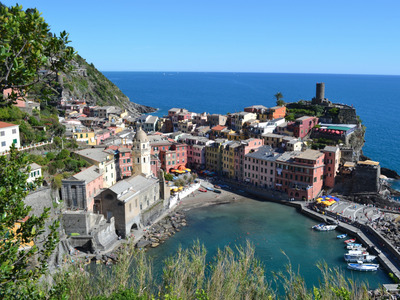 And while I can’t compare hiking the Cinque Terre with hiking Everest, I did learn a few tips that should benefit visitors of all experience levels. Whether you take the red or blue trail, you'll need a pass to hike from town to town. 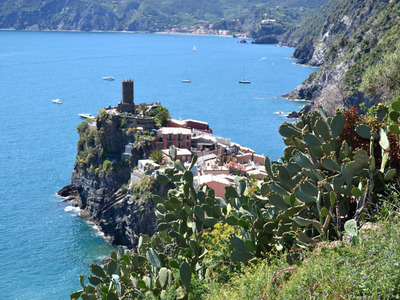 For 16 euro, you can pick up an all-day hiking pass at any of the town visitor centres. People are stationed throughout the trails to check the pass, so be sure to keep it with you. Don't forget to validate it at one of the nearby machines. These colourful homes are stunning to photograph. With two of the trail legs closed, I was determined to see the three open towns. The question was -- what order should I see them? I figured it was best to consult an expert, so I turned to Rick Steves to see where I should begin. He recommends starting at the southern most town and working your way North. 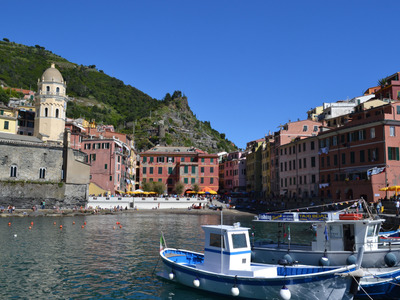 I worked my way up the coast, starting at Corniglia, then to Vernazza, and finally, Monterosso. The views are fantastic. 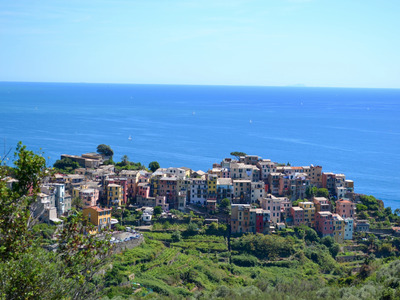 You'll want something to capture the beauty of the colourful houses and aqua water. Slip it into your backpack and you're social media followers will appreciate the views as much as you do. Keep in mind, the majority of people you see are tourists. These towns average less than 1,000 permanent residents. 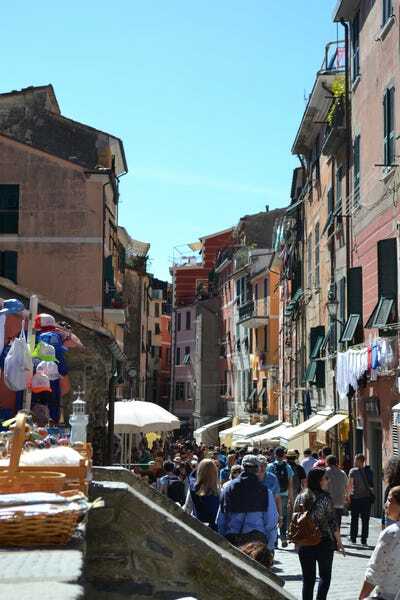 Make the most of the colourful shops and restaurants, or take a quick boat ride out to sea to view the town from a new perspective. 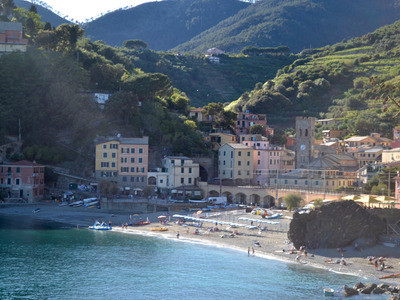 Beach lovers rejoice -- Monterosso has plenty of beach space to enjoy. 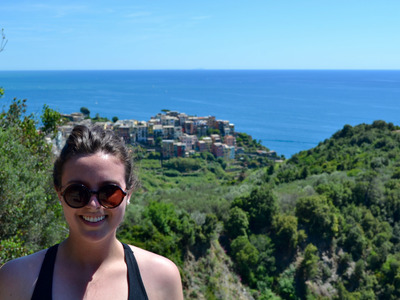 Remember -- You're in Italy, surrounded by beautiful views everywhere you look.